This 560 sq. 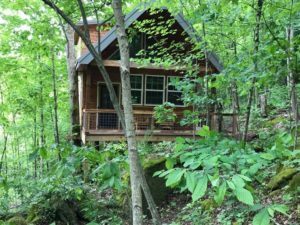 foot treehouse cabin is situated on 20 acres surrounded by the Acadia Cliff Wildlife Preserve. 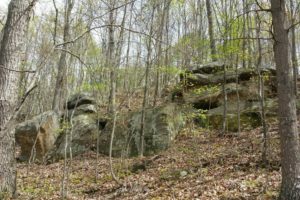 While here, hike to the Millstone Quarry for a bit of Ohio history and visit the OU campus and surrounding city of Athens. Be sure to stop by the Athens Farmer’s Market on Wed. and Saturdays! 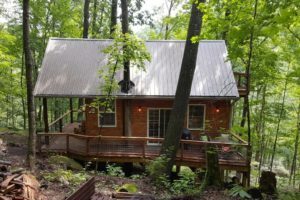 This is a wonderful place to disconnect and relax! 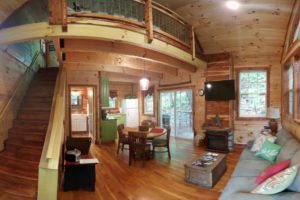 Due to the location there is no internet, with little cell phone service in the area. 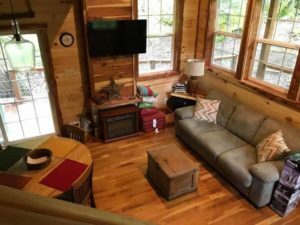 Bring your DVD’s, games and books, relax in the Amish rockers on the deck, and utilize the completely furnished kitchen and electric grill to make your favorite meal! 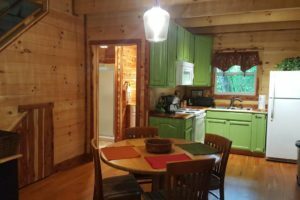 The cabin features a fully equipped kitchen with electric oven, refrigerator, microwave, toaster, blender, slow cooker, and coffeemaker. The bathroom has a shower and large vanity. 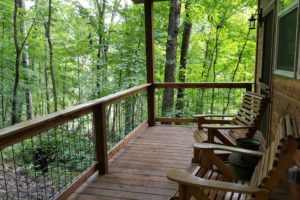 Enjoy sitting on the upper deck of the loft and a fire by the fire pit. We’ll be in touch prior to arrival to answer all of your questions. A $25 cleaning fee will be added to the base price. Higher rates apply for special event weekends. Please bring your own bottled water, we have filtered spring water, but some folks prefer the bottled stuff! – Please remove shoes in the house. 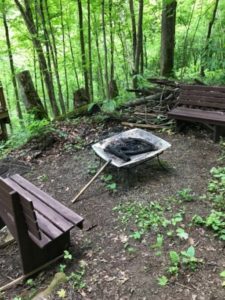 – No indoor or outdoor parties allowed on the property. – No firearms are allowed on the property. 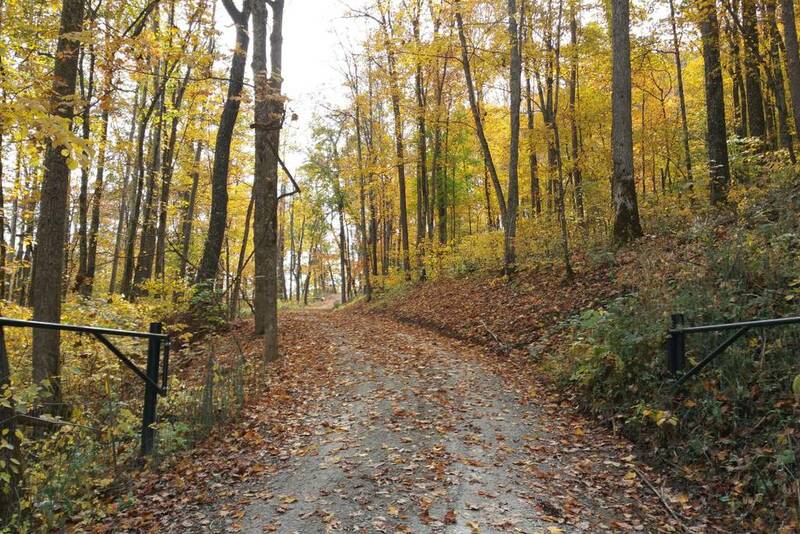 Must climb stairs – The property is on a hillside and good footwear is recommended. Nancy’s home is located in Cutler, Ohio, United States. 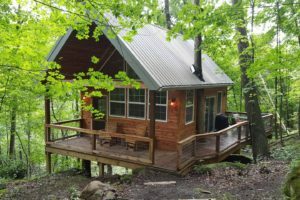 The treehouse is located on a hillside off of 2 Mile Road, which is a gravel road near Cutler, OH, approximately 19 miles from Athens, OH. 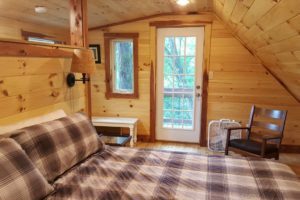 We recommend arriving during daylight hours for ease in locating the property. 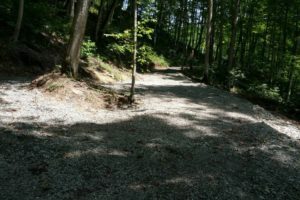 We have a steep gravel road up the hill and a turn around area near the treehouse. 4 wheel drive in recommended in rainy weather.